How Many Calories in Starbucks Powdered Hot Chocolate Mix? Can Cocoa Powder for Baking Be Used to Make a Drink? Unsweetened cocoa goes a long way because of its rich flavor. 1 How Many Calories in Starbucks Powdered Hot Chocolate Mix? 4 Can Cocoa Powder for Baking Be Used to Make a Drink? Don't let the label fool you -- presweetened cocoa is nothing more than natural cocoa powder mixed with sugar. Designed for use in hot cocoa, it dissolves quickly for a sweet, chocolatey drink. To substitute it, make your own mix from cocoa and sugar or use another chocolate source, such as chocolate syrup or flakes. Presweetened cocoa should not be used for baking, though. Stick with cocoa powder instead. Presweetened cocoa powder is usually made from natural cocoa powder combined with sugar. It may also contain other flavorings, such as vanilla. Although not meant for baking, presweetened cocoa powder is delicious when added to hot milk for creamy hot cocoa. 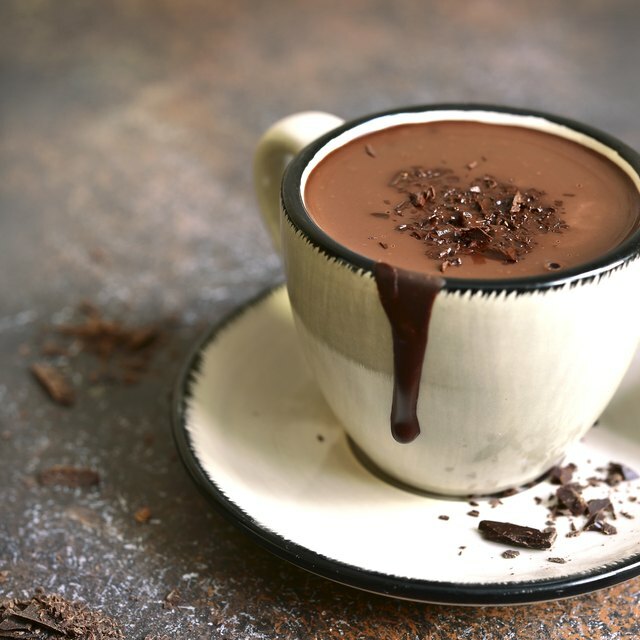 Unlike instant hot cocoa mixes, presweetened cocoa doesn't contain powdered milk and does not dissolve well in hot water. To make your own presweetened cocoa powder, simply combine regular unsweetened cocoa powder with sugar at a rate of 1 part cocoa to 2 or 3 parts sugar, depending on your preference for sweetness. Whisk the mixture well to remove any clumps and store it in a sealed container in a dry, cool pantry. For a quick, simple solution, combine hot milk with chocolate syrup. Another option is to combine hot milk with chocolate flakes. Grind dark, semi-sweet or milk chocolate in a food processor to create fine flakes. Whisk these flakes into the hot milk until they melt. Add a bit of sugar, if necessary, to sweeten. Because presweetened cocoa powder is used primarily for making hot cocoa, you can substitute it with any instant cocoa mix. Read the package directions carefully. In most cases, you should mix this type of cocoa mix with hot water, rather than milk because the mix already contains dry milk. For added richness, though, add a few spoonfuls of milk or cream. Presweetened cocoa powder doesn't work well in baking because you have no idea how much sugar or cocoa is in each cup. Instead, stick with unsweetened cocoa powder for brownies, cakes and cookies. 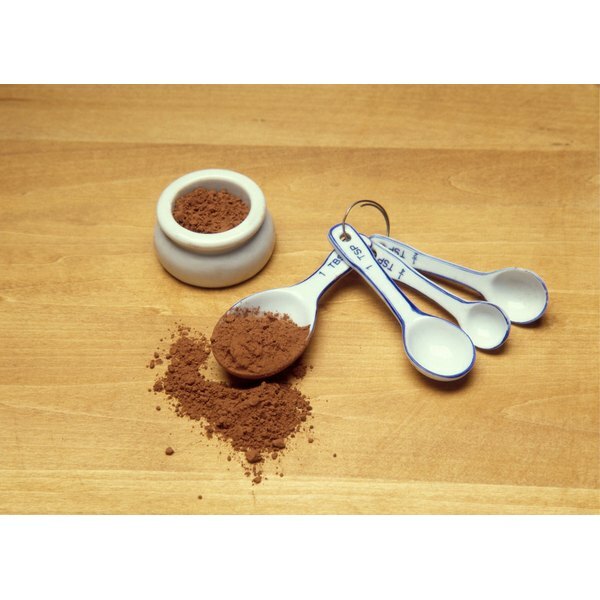 Natural cocoa powder is the most commonly used type in the U.S. It's naturally acidic and works well in recipes calling for baking soda. Dutch-processed cocoa has been processed with an alkali to neutralize its acidity. It has a darker color and milder flavor than regular natural cocoa. However, if you use it with baking soda, you must include an additional acidic ingredient, such as brown sugar or molasses. Otherwise, use baking powder instead of baking soda. Can You Make Ice Cream with Lactose Free Milk?